Velvety hazelnut ice cream dipped in rich Belgian chocolate and coated with caramelised crunchy hazelnut pieces, for an indulgence that simply wows your palate. Sounds absolutely tempting, doesn’t it? Satiate that irresistible ice cream craving with the new Magnum Hazelnut Ice Cream and be captivated with every magical bite of this perfect indulgence. 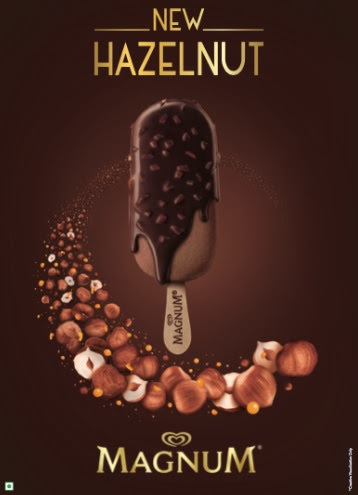 “Decadence at its finest, the New Magnum Hazelnut Ice Cream is a delectable blend of Hazelnut-flavoured ice cream, Belgian Chocolate and crunchy Hazelnuts. Setting the trend with rich Belgian chocolate in the market, Magnum takes great pride in being the pioneer for exotic and indulgent flavours to treat every chocolate ice cream lover. We aim to create exquisite experiences for pleasure seekers and the new Magnum Hazelnut Ice Cream is another example of that journey. Delivering delectable luxury through a variety of Belgian Chocolate ice creams is the very essence of Magnum,” said on the national launch of the Hazelnut variant, Magnum spokesperson Himanshu Kanwar.